On 3 May 2011, Enrico Coveri s.r.l. filed Israel Trademark Application No. 237567 for ‘COVERI’ coveri(ng) clothing, footwear and headgear, all in class 25. The mark was eventually allowed and published for opposition purposes on 30 April 2012. On 23 July 2012, Sar-Go Investment LTD opposed the mark. (The opposition actually related both to Israel TM 237,567 ‘COVERI’ and to Israel TM 237566 ‘ENRICO COVERI’ in Class 35, however, Sar-Go Investment LTD retracted their opposition to TM 237566 ‘ENRICO COVERI’ which was subsequently granted). In parallel with the Opposition before the Israel Patent Office, Enrico Coveri s.r.l. sued Sar-Go Investment LTD for infringing their (pending) mark. [– this is possible under common law rights, albeit not a good idea to sue before the mark issues]. Sar-Go Investment LTD asked the Court to require that Enrico Coveri s.r.l. post a bond [which is common practice where a plaintiff is not domiciled in Israel] and, on failure by Enrico Coveri s.r.l. to do so, the Court closed the case. On 31 December 2012, Sar-Go Investment LTD filed two trademarks, Israel TM 252378 “COVERI KIDS” for wholesale of clothing and shoes for children and youth, for “COVERI HOME” for wholesale furniture and children’s domestic accessories both in class 35. Both applications were suspended at the Opposer’s request until after the present Opposition is concluded. The Oposer claimed that they have used the (unregistered) marks Coveri Kids and Coveri Home for 15 years and had a reputation among their clients for these marks. The Opposer is a wholesaler whereas the Applicant is a manufacturer [this argument, together with the competing marks scenario created seems to be setting the scene for a request for co-existence]. In consequence of their longer usage in Israel, the Opposer claims that they should take precedence over Enrico Coveri s.r.l. in Israel under Section 24(a1)(2) of the Trademark Ordinance 1972, and, under sections 5(11) and 6(11) argued that allowing Enrico Coveri s.r.l.’s application to register would be unfair trade, would mislead the public and be contrary to the public good. In an alternative strategy, the Opposers argued that if Enrico Coveri s.r.l.’s was not canceled, then the two marks should be allowed to coexist due to the difference in sight and sound of the marks, as their desired mark was to be pronounced CAveri whereas the opposed mark was to be pronounced COveri. [I find this argument a little tenuous. The mark does not come with pronunciation instructions, and Israelis include Bedouin, Russian immigrants, American immigrants, Ethiopians, Thai foreign workers and Sudanese illegal immigrants. I doubt that there is a common pronunciation of vowels]. The Applicant denied the allegations of misleading the public as they claimed to have the reputation and also argued that the Trademark Ordinance only protects registered marks, which the Opposer had not (then) registered. 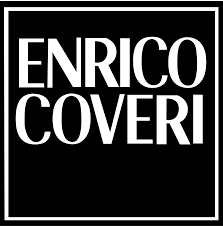 Furthermore, the Applicant claimed that they were the first owner of the Coveri mark and back in 1986 had applied for ENRICO COVERI in claims 3 and 18, for soap and leather goods, and this the Opposer’s claims should be rejected. The Opposer was acting in bad faith as it was inconceivable that he was unaware of the Applicant who had marketed goods in Israel that were branded as COVERI. In the District Court proceedings, the current Applicant accused the Opposer of willful infringement and of ignoring requests from the Applicant to cease and desist from using the term Coveri. Furthermore, the Applicant argued that the Opposer’s us of the term Coveri would lead to misleading the public as the Opposer’s goods were sold by the Applicant. The Applicant further claimed dilution of their mark and Opposer’s enrichment at their expense. In their defense, the Opposer denied knowing about the Coveri brand when they chose their own branding. As wholesalers of clothing brands and not manufacturers, they were unaware of the Applicant’s brand. Furthermore, the Opposer denied infringing the Coveri mark as their marks was Coveri Kids and Coveri Home. However, as noted above, the District Court Proceedings were thrown out due to Applicant’s failure to post a bond. The Applicant here, Enrico Coveri s.r.l., argued that the position taken by Sar-Go Investment LTD in the District Court estoppled them from claiming that the current proceeding be dismissed as the parties are the same in both proceedings. Support for this argument was found in Civil Appeal 246/66 Klausner vs. Shimoni. The Trademark Office considered that the current situation was different as in the previous (court) proceeding, there was no substantive ruling as the case was thrown out. Also, the identities of the parties (and the marks in question) has switched, thus there is no estopple against bringing the case to trial. Furthermore, the legal arguments are different. For additional analysis, see TM 245411 Orez Gamalim Hahav Pninim (graphic logo) Yoram Sassa vs. Yehudit Matck, as published on the patent office website in April. In conclusion, Deputy Commissioner MS Jaqueline Bracha saw no reason not to rule on the merits of the case. Inequitable Behavior and the Common Good. The Opposer claimed that the applications should be canceled as they were filed in bad faith, since the filing occurred 15 years after the opposer was using the mark and gaining a reputation in it. Furthermore, since the Court had thrown the case out, dealing with it on its merits now would be contrary to the public good under Section 11(5). The Applicant also accuses the Opposer of inequitable behavior since the choice of the term Coveri by the Opposer was itself an attempt to cash in on Henrico Coveri’s reputation. Arguments that Coveri means Cover Israeli Kids as the Opposer had claimed were dismissed as fanciful and unconvincing, and the alleged correct pronunciation as CAveri and not COveri as written was further indication of inequitable behavior. The Opposer considered the marks were not registerable, as, due to inequitable behavior, their registration was impermissible under Sections 11(5) and 39(1a) of the Ordinance. However the Deputy Commissioner considered that this was not grounds for Opposition per se, only, for cancellation of an issued mark. Support for this position was found in the Pioneer decision. According to Ms Bracha, Section 11(5) was to cover cases such as to prevent an opponent to prevent an applicants from using opponents copyright protected artwork as trademarks. In the Coveri mark and in Coveri Kids and Coveri Home, the dominant word is Coveri. Furthermore, the other words are descriptive and lacking in independent distinctive character. Consequently, the marks are visually and audibly very similar. Both Opposer and Applicant sell clothing and children’s goods, one wholesale and the other retail. The client base is different, but it still overlaps and one could imagine a purchaser of Coveri clothing could go into a COveri Home shop to buy furniture or accessories. Whilst, it is certainly possible that Henrico Coveri is using his name for branding purposes and Coveri Kids means Cover Israeli Kids so there is no intent to confuse, however, it is unlikely that the public would be aware of this. The Opposer has stores in the upscale Kikar Hamedina of Tel Aviv. The Applicant’s witness was more circumspect as to where they were using their trademark. Reputation in a specific market sector is judged by the time period the brand has been in use and the amount of publicity and marketing invested in linking the product to the brand name. Coveri kids have shown 15 years history of the mark. However, Mina Tzemach’s market research has shown low brand penetration, nevertheless, Ms Bracha agreed with the Applicant that the onus is on the Opposer to show that they have a reputation in the mark and not that the Applicant does not. Ms Tzemach’s affidavit was an appendix to another one and not a freestanding document. However, the The Opposer did not choose to cross-examine her on her findings which rather strengthens them. Coveri admitted that they had never opened a shop, but claimed that their neckties and other things were sold in boutique stalls. Consequently, it appears that Coveri Kids and Coveri Home have a larger footprint in the market. It seems that Enrico Coveri acted after discovering that Coveri Home and Coveri Kids were strong marks in Israel. They first sent cease & desist letters and only subsequently filed their own marks, and later still, filed in the District Court. Under cross-examination from Adv. Tony Greenman, Enrico Coveri’s witness spoke about design shows abroad abut did not answer questions about their local advertising. Despite prompting by both Adv. Tony Greenman and by the Deputy Commissioner, the witness failed to show that the mark had been used in Israel prior 2011 and had local reputation. This lead the Deputy Commissioner to suspect that the Applicant’s registration was merely to prevent being sued by the Opposer and was not indicative of actual use or intent to use. Although in Israel one can apply for a mark not in use if there is intent to use, however the intent should be genuine. The Israel courts view defensive trademark practices with a jaundiced eye. “A lack of bona fide intent to use is a ground for an inter partes opposition proceeding to an application before the Trademark Board. Aktieselskabet, 525 F.3d at 21; McCarthy § 20:21, at 20-65,66. Lack of bona fide intent to support an intent-to-use application also may render an application void ab initio upon challenge in federal district court.” (W. Brand Bobosky v. Adidas AG, 843 F. Supp. 2d 1134, 1140 (D. Or. 2011). The long and real usage by the Opposer and lack of cooperation by the Applicant’s witness lead Ms Bracha to consider that the mark should be refused under Section (6)11 of the Trademark Ordinance. The Opposer claims prior rights to the mark under Section 24(ia)(2) of the Regulation. As far as distinctive marks is concerned, this is a relevant issue. “Furthermore, it is important to note that when a mark is canceled from the register or even if it was never registered, this does not indicate a lack of proprietary rights of the owner. There is a right of reputation which is protected in unregistered marks. In this instance, however, the Opposer did not register their mark. They did not act to have the mark registered, and the present instance and the previous Court case were superfluous. Having ruled that the Opposition should be accepted under Section 11(6), the ownership of the marks is superfluous, particularly as the Opposer has long established usage and the Applicant has not shown usage in Israel. However, the lack of registration by the Opposer should be taken into account when ruling costs. Registration of the Italian designer’s mark was refused without a ruling of costs to the Opposer. The Opposer’s marks (Coveri Kids and Coveri Home) can continue to examination following this ruling. Pronunciation aside, this case bears more than a passing resemblance to the Versace case, since we have a well know international design house and a couple of Israeli stores using the name in ambivalent faith. I therefore suspect we haven’t heard the last of this.